We offer clean nicely furnished rooms at Competitive Prices. San Jose International airports are within few minutes drive from our centrally located Bay Area Inn. All Bay Area points of interest are within short driving distance from our Inn. Imperial Inn caters to needs of all the customers whether it is domestic or International Guest. We are independently owned and operated. We take special pride in serving our guests. While your stay with us, please let us know how we may make it a more memorable stay. We will do our utmost to try to accommodate your special needs. Business amenities at this 1.5-star property include wireless Internet access and business services . Guest parking is complimentary. The front desk is open 24 hours a day. Additional amenities include coffee in the lobby and complimentary newspapers in the lobby . Imperial Inn features 60 guestrooms in a 3-story property. 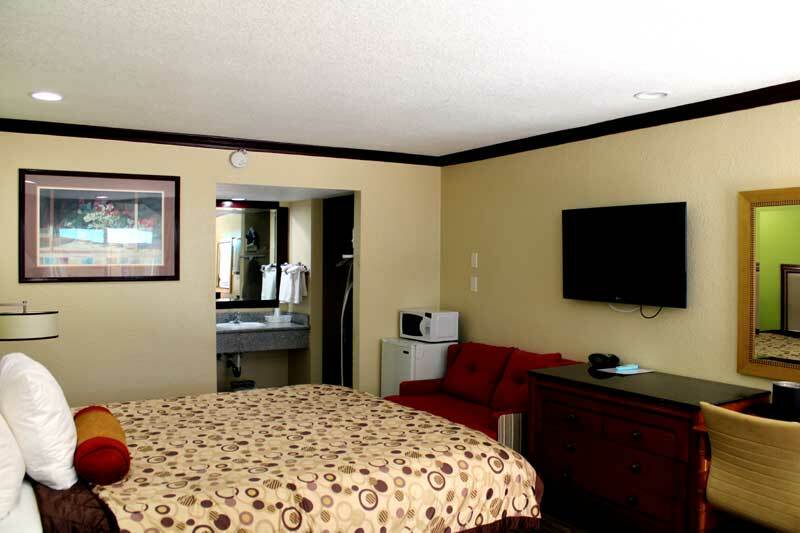 Guestrooms have cable television with premium TV channels . Business-friendly amenities include desks and free local calls . Complimentary bottled water is provided. All guestrooms provide microwaves , refrigerators , and coffee/tea makers . Bathrooms feature shower/tub combinations , hair dryers , and complimentary toiletries . Amenities featured in guestrooms include DVD players , air conditioning , and clock radios . Additional amenities offered include complimentary newspapers , electronic/magnetic keys , and phones . Guestrooms are accessible via exterior corridors . Guestroom services include housekeeping and wake-up calls . In addition, amenities available on request include irons/ironing boards . The Cinco de Mayo Festival will return to Jack London Square for its second year on Saturday, May 4 from 12-7 p.m.! The festival will feature Latin performances and entertainment including traditional Folklorico dancing, traditional Aztec dancing from In Lakech Danza Azteca, lowrider cars, dancing horses, wrestling, performances from Oakland Unified School District students, music from local radio stations, family-friendly activities, and more. Located at the heart of the Urban Wine Trail, Jack London Square will be filled with more than 20 Northern California wineries offering tastings, as well as live music, vendors, artists and more. Airport : Owned and operated by the Port of Oakland , OAK is California's fourth largest airport, with more than 11 million passengers passing through our gates every year. Today, 13 airlines offer nonstop service to a growing list of 55 international and domestic destinations. We're the closest airport to the region's top tourism and entertainment venues and the closest airport for most local residents. Attractions : The Imperial Inn is conveniently located to all means of public transportation. Bay Area Rapid Transit (BART) is within walking distance. The Oakland International Airport is a five minute drive, and The San Francisco International Airport is a 25 minute drive. The Amtrak station is a two block walk. A ferry terminal with services to San Francisco and connections to Sausalito, Marin and Alameda, is located right inside Imperial Square. Business : The Oakland Convention Center is conveniently located in downtown Oakland only ten minutes from the Oakland International Airport. Right outside the doors of the convention center you will find Oakland's Chinatown, Old Oakland, Preservation Park, shopping and within a few short blocks the waterfront, Jack London Square and the Paramount Theatre.